Flashforge Creator X Review – What’s New with the X? FlashForge Creator X improves on its former self and offers several improved features, which make owning the 3D printer much more attractive to a wider audience. The old FlashForge Creator model was actually very popular among 3D printing enthusiasts, as it was offered with an attractive price point and provided quality printing work as well. The old wooden box style frame of the Creator has been replaced with a new and improved metal frame for the Creator X. The frame is much more resilient to wear and tear while also providing better overall structural integrity. The platform has been improved as well and now comes equipped with a durable high-temperature resistant plate made of aluminum. Perhaps one of the most important characteristics of the plate is the sturdy 6.3 mm thickness, which helps prevent warping and other types of damage during heating procedures. Additional functionality and convenience are offered with the addition of powerful LED lights that surround the printing area. As mentioned above, the structural integrity of the Creator X has been much improved and not only with the addition of the metal frame. The designers went a step further and reinforced several points on the machine with fittings for the corners as well. It only takes a minute or two of working with the improved model to feel the significant difference these upgrades have made. The Creator X sticks closely to its operational roots by remaining compatible with ABS and PLA, while also sporting double extruders and spools. You can check out my original review of the Flashforge Creator here. What’s Improved with the Creator X? Overall Recommendation – Is the Flashforge Creator X Worth the Improvements? 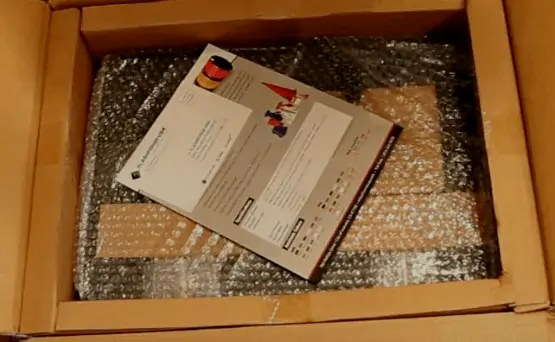 When you order a new gadget or piece of tech machinery, many times it is easy to completely miss noticing how the company packages the item for shipping. There is nothing worse than waiting several days for your new toy to arrive, only to open the package and see that it was damaged in-transit. The reason I make a point of this with the Creator X is I noticed how well it was packaged. It was tightly secured, had plenty of buffer material around the exterior and overall was well protected against accidental drops or mishaps during the shipping process. Once you remove the unit from its packaging, there are a few small tasks to take care of in order to get it up and printing. The dual extruders need to be attached to the unit, which is easily completed with the provided screws. Additionally, you will need to install the software you plan to use for operating the unit. It comes with an installation CD, but there are several types of software selections you can make depending on what you are most comfortable with. One of the very noticeable conveniences with the improved Creator X is you no longer have to periodically tighten miscellaneous screws like you did with the old model. The old Creator model’s wooden frame would loosen up relatively easily and needed to be tightened up quite frequently. Additionally, no more keeping a flashlight at the ready to check on the progress of your work, the new powerful LED lights around the build area provide plenty of visibility for tracking progress. The unit comes with a single spool of ABS filament and one spool of PLA as well to get you started. The colors are selected at random so it may be a good idea to order some additional filament in the colors you prefer when you order the Creator X. However, the two provided spools are enough to get you up and printing so you can see what the Creator X is capable of doing. This unit is often compared to a competitor 3D printer, the Makerbot 2X (see full review here). The Makerbot is about $1,000 higher in price but does not come near the type of print quality that the Creator X offers. The printing function is smooth and I would not consider it fast by any means, but also not near as slow as some other models in its category. 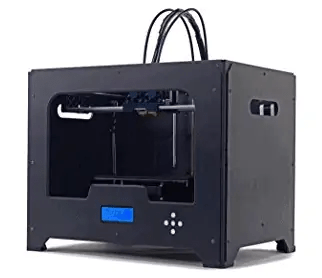 The unit offers excellent flexibility and performs well in a wide range of areas that is pleasantly surprising for a 3D printer in this price range. Beginners and experienced 3D printers alike will enjoy working with the Creator X and will have plenty of options at their fingertips with this unit. Sometimes difficulty working with PLA and getting it to cooperate is not necessarily the fault of the printer. It can also be due to inexperience of the user or not having the settings properly configured. For whatever reason, we just found the Creator X struggled a bit more than perhaps some other models when working with PLA. In all fairness though, it is probably not a 100% fair assessment as we had limited time and mostly because these processes are so dependent on getting specific settings correct. The FlashForge Creator X is produced by a company based in China and after having a look around at several review sites and other resources they appear to do a good job of customer service and taking care of problems that may occur. Additionally, they offer a 3-month warranty that protects you against product defects. They will replace any defective parts within three months of the purchase date at no cost to the customer and offer technical support as well. A relatively large sampling of websites from across the 3D printing industry indicate a high level of satisfaction with the Creator X and there does not appear to be any design issues that are constant across the model line. The Creator X offers a great value with excellent performance and flexibility. The printer is suitable for those that are new to 3D printing and just want to have a first experience, as well as for more experienced 3D printing hobbyists or tech junkies. The fact this unit does not arrive as a kit that needs to be manually put together is plus and the setup is relatively easy and painless. As with all 3D printers, there is a bit of a learning curve when learning how to work with the different filaments and features of the unit, but that is to be expected. Overall, this is a moderate – but significant – step up from previous Flashforge models. I have no problem recommending this unit as a good value, quality product and user-friendly 3D printer. If you are looking for a first experience or perhaps to make a move up from an entry-level 3D printer, then the Creator X should be on your very short list of top considerations. Be sure to check out this listing, where I’ve found it discounted recently.